Welcome to G & G Guest House. A furnished Guest House with a unique atmosphere for relaxation and fulfillment for guests and visitors from anywhere in the world. G & G is situated at No. 6 Gordon road, Bertrams in the heart of Johannesburg, conveniently close to the Coca-Cola Park Stadium (formerly known as Ellis Park Stadium). It takes only 8 minutes drive from the famous OR Tambo international Airport and 5km away from East-Gate, Sandton, Rosebank, and other major malls in Johannesburg. 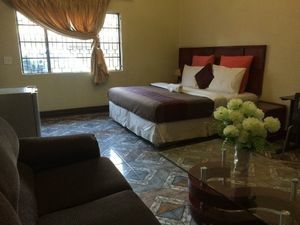 G & G Guest House is situated in a quiet and secured neighborhood. Travelers to South Africa will be ensured of a pleasant and relaxed stay either for a night or more. This lodge we offer free WI-Fi, room service, television with DSTV and laundry services.As well as secure free vehicle parking for guests.